Aanraku TWOFERS Diamond abrasive bonding is double plated for strength, dependability and long life. 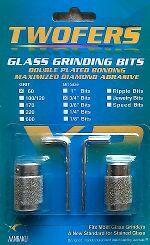 You will not find a more Reasonably Priced, Higher Quality Grinder Bit on the market today. 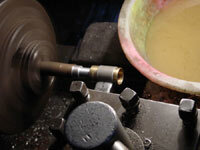 During the manufacturing process, bit samples are randomly tested for quality control. 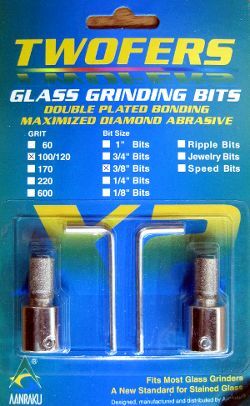 Bits are tested by grinding steel with a hardness rating of HRC 55-58. 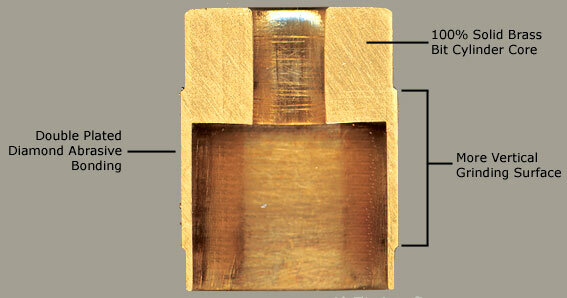 Each bit batch tested must endure 10 hours of continuous work with a constant lateral pressure of ~10 lbs/sq.in. driving the test bar into the bit abrasive for the lot to pass inspection.